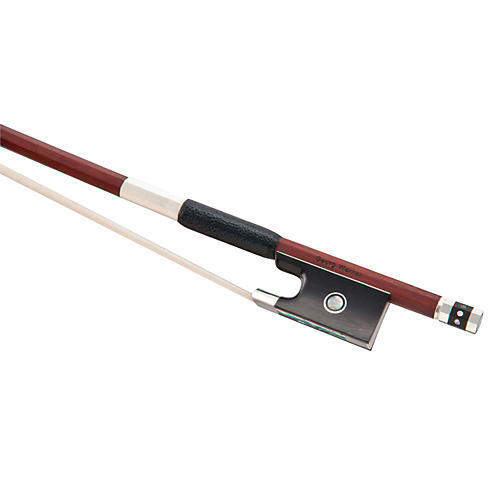 The Georg Werner line is perfect for the musician who wants to move up to a quality German bow. Made in a renowned German workshop for over three generations, Georg Werner bows feature the finest wood and fittings available using time-honored techniques of craftsmanship and artistic skills. From budding student to artist level, Werner bows provide reliable and consistent best-in-class performance. Bows are available in brazilwood or pernambuco, octagonal or round, nickel or silver-mounted. This violin model is a master octagonal Pernambuco and features a Parisian eye. Silver lined.